Our pets are our pride and joy and beloved members of the family. Therefore, we want nothing but the best for them and need to be sure that they are happy and secure at all times. This is easier said than done for owners that need to leave their pets alone for long periods in the home. Thankfully, the best pet cameras are on hand to provide a clear view and some interaction with pets. There are standard security cameras and treat dispenser cameras with some great feeds and additional technology. Indoor home security cameras for pets. Home security cameras are an important way for home owners to keep an eye on their property from a remote location. It used to be that we could only record the images and review the grainy footage at a later date. 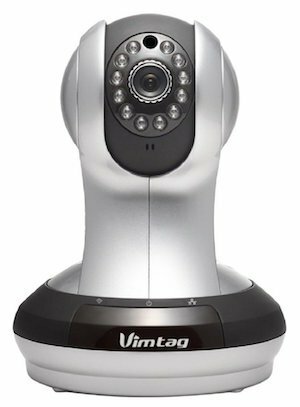 Today’s cameras provide a real-time experience with clear footage and other helpful tools for remote viewing. This means we can watch a home or react to an alert from our phones and tablets while away from the home. This is great for those with pets in the home. What are treat dispenser cameras? The alternative option to a standard piece of at-home surveillance equipment is a pet-focused camera within a treat dispenser. The treat dispenser provides comfort and fun for pets at home alone. The camera allows owners to view the animal and often communicate with them for greater piece of mind. There are pros and cons to this approach, as you will see in the product reviews below. The first thing to look at with any of these models, especially those included in this guide, is the quality of the image. This is true of both the security cameras and the treat dispenser cameras because both require a strong image at all times. This means clarity in both the stills and video feeds with the right colour, tone and a fluid image. It also helps if these product have a night vision mode for 24/4 surveillance. The range of the camera is also important. Both types of camera need a field of vision and the ability to sense presence and other issues from an appropriate distance. For the security cameras, this can mean a camera that pans, zooms and has strong motion detection. For the treat dispensers, this requires a wide enough field of vision for the app and a strong sensor on the food dispenser. Of course all of this has to work via a strong wireless connections. There are many plug and play models with Wi-Fi connections that owners can place anywhere in the home. Yet, a reliable connection is essential for a consistent performance. This connectivity also extends to the connected devices, such as the phones and tablets containing the app. Finally, it is important to look at some of the other tech on-board. A camera feed with a clear video image isn’t enough for a lot of pet owners. Many treat dispenser cameras offer the ability to interact with a pet, listen to them and speak to them. Talking to pets that are left alone is important for assurance or behaviour correction. Some security camera also have additional sensors and features for added security. What are the best pet cameras available right now. The following seven products are examples of both security cameras and treat dispenser cameras that meat most, if not all, of the factors above. There are pros and cons to all seven, but they highlight the range of options and technology out there. We will start with four interesting treat dispenser cams. The Furbo is sold as a fun device for “treat tossing” more than a pet camera, but that doesn’t mean that there isn’t great tech here. The images stream to the free Furbo iOS/Android app and this offers a 2-way “chat” system for peace of mind. 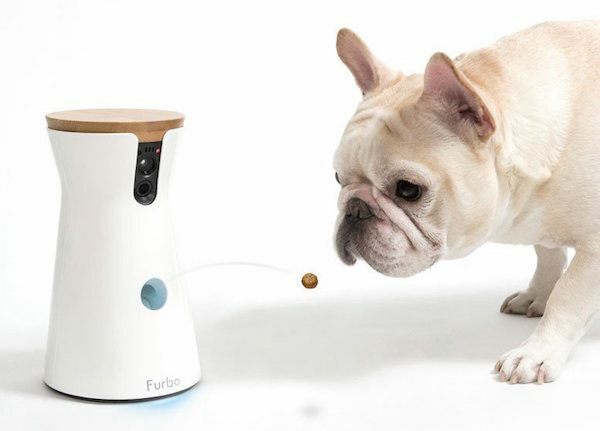 Furbo is also the only pet camera that’s made-for-dogs. It sends push notifications to your smartphone when it detects barking. This model ticks all the boxes for camera quality, connectivity and bonus tech. The camera provides a high quality screen over a 120 degree wide angle, with both 720HD film and a night vision mode. The makers promise a simple 3-step set-up with a helpful app and Wi-Fi connection that seems to be simple enough. There is also the additional benefit of the barking sensor with push notifications. The feedback is mostly positive here, which is why it ranks in first place. However, there are a few connectivity issues and some have experienced glitches with the sound and treats. This can be frustrating for dogs learning to use it, as well as owners in need of a reliable supervision tool. Click here to check price on Amazon?. 2. 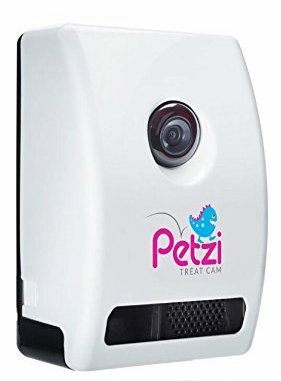 PetChatz HD Pet Camera. The purpose of this PetChatz model should be about the same. There is the same approach of a 2-way connection and a simple app for surveillance, plus the treat dispenser. The added selling point here is that there are additional actions to dispensing a treat. There is also a “calming scent” to help owners relax pets further. This calming scent is a nice touch and adds a little versatility to the device. There is also plenty of positive feedback on the quality of stream and app. Users receive a clear picture – much clearer since the recent update – and there is a sense of reliability to the feed. This option doesn’t have the tech of the Furbo above. It is a face time app and little more for some owners. The treat dispensing features seems like a secondary consideration and there is no mention of a night mode on the camera or other surveillance tech. This Petzi option is the first of two models that originate from crowd funding projects. The issue here is that this is an Indiegogo project that reached its funding, target, produced a first-gen model and has not entirely delivered. This is one of those devices with a user-friendly vibe, and a focus on how fun this tech can be. The product descriptions talk more about the app and interactivity than the tech and camera capabilities. This includes the ability to take snapshots and share them online. Still, this easy-to-use model does have a clear stream of high quality. There are few connection issues either. There is the general sense that this is very new tech in need of a tune up for a smooth, reliable performance. Some say that it shoots the treats out far too fast, hitting dogs in the face. There is also some confusion over the use of the microphone and audio modes. Future models may improve and fix these faults, but for now it is too unreliable – and a little expensive. The PetCube also came from crowd funding, this time through Kickstarter. The first difference here is that there are updated, higher-end versions to this original model if required. The second difference is that while the others are often dog-focused, this appeal to different types of pets. The main selling point here is the range of features to treat and entertain animals. In addition to the food dispenser there is a built-in laser toy for play and physical activity. Users can view the action with ease on the HD stream and wide angle lens, with the added ability of taking photos. The 2-way audio just enhances the versatility. The biggest problem here is the need for a strong internet connection as it can cut out too easily. Also, some find that the laser is only good in certain light qualities, and the speaker can develop issues with static. Therefore, the quality is not quite as good as promised on the Kickstarter page. 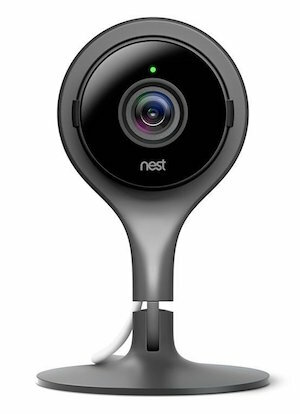 The Nest Cam is easily one of the most recognisable and revered security systems for a smart home. This is why is ranks first in these home security models. It covers all areas of surveillance with additional tools and a high end camera system. The camera and its stream cannot be faulted when fully operational. There is clear 24/7 streaming from the 130 degree wide angle lens and strong night vision. This is all send to devices via the app, with phone and email alerts in case of problems. There is also a 2-way audio system for communication with people, or pets, within the home. The Nest cam is one of the most popular options around for home security, but it is not specifically a pet camera. Users should also note that there is a high risk of bugs with the updates. This is also a very expensive choice if only bought for pets, rather than general home surveillance. It is the breadth of features on the camera that makes this model stand out. This wireless enabled model has a one million pixel HD stream for daytime monitoring and night vision up to 10 metres. There is also 320×120 degree coverage and motion detection. This “Snap Shot” mode sends helpful alerts to users’ devices. Again, this is a great camera set up with some nice features. Yet, it is not quite as high-tech as the Nest and not specialised pet camera. There are none of the interesting pet-focused features of some of the items above. There are also users that feel that it needs better instructions too. The final model here is this Canary system, which promises a strong 1080hp stream with a motion activated recording and some neat sensors. This model has what it calls “HomeHealth” tech for air quality, humidity and temperature. There are some great features to the camera on this model. The 147 degree wide-angle lens is the widest yet and there is also night vision for 24/7 surveillance. Those sensors and alerts also come with an “auto-arm/disarm” mode and access to local authorities for added peace of mind. The problem with this model is that many of the features are a little overhyped. Those sensors are not that strong, which can lead to security risks. The video has a little lag so isn’t 100% real time. The connection can fail if not strong enough. Finally, there are false alarms that lead to ignored notifications, defeating the purpose. Choosing the best pet camera system for your home. As you can see, there are some pros and cons to both types of pet surveillance system. The home security cameras often have better specifications when it comes to the abilities of the camera and its feed. However, the extra features tend to favour human occupants over animal ones. The pet treat dispenser cams are clearly pet-focused with great communication tools, treat features and a nice design. However, the cameras are more basic in terms of quality, range and connectivity. The final choice here may depend upon your top priority from the camera. Do you want a camera system to watch over a pet that also has greater potential for home security? Or are you purely looking for a pet-focused system with a simple 2-way system and treats. Those looking for home security to look after the whole family should stick with the Nest, despite the high price. 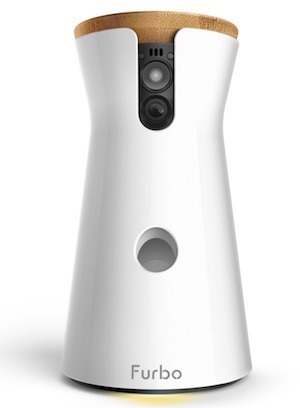 Those looking for reliable treat provisions and 2-way communication should opt for the Furbo Dog Camera.